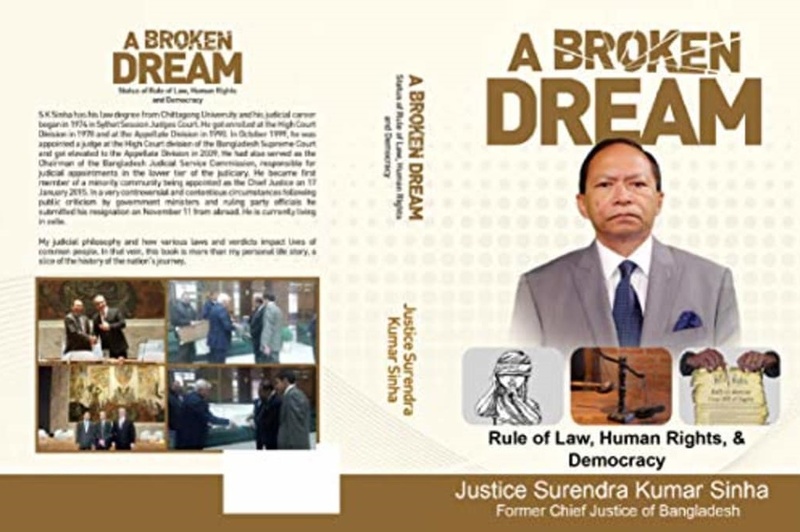 The readers do not need to introduce former Chief Justice Surendra Kumar Sinha (SK Sinha) In 1999, during the then Awami League government, he was appointed as a temporary judge of the High Court Division. On 17 January 2015, he achieved the distinction of being the first Hindu to be Chief Justice of Bangladesh. As the 21st Chief Justice of the country, he was due to retire on January 31 this year. But 81 days before the end of the term, he had to leave mysteriously from the post of Chief Justice. Chief Justice SK Sinha has long been the head of the media by issuing comments on a verdict. Many incidents happened in the country with him. He is currently living in Australia. On October 13, 2010, he suddenly returned to Australia with a month off; In the country-foreign media, "news" campaign and debate, discussion and debate, in the critique, on 12 November, 2017, from Australia, sent a resignation letter to the President through the Bangladesh High Commission in Singapore. Under his resignation, the unwanted controversy created by the two pillars of the state's executive and judicial department ended. Sr Sinha, living abroad, writes about the rule of law, human rights and democracy in Bangladesh, 'A Broken Dream Rule of Law, Human Rights and Democracy' book. The title of the book is 'The rule of law, human rights and the dreams of democracy'. What was written in the book's role was given to the readers exactly.